After the recurring updates that have been reported by social networks, the significant v3.0.0 updates comes to all Binary Motor‬TN communication apps. Among the most significant new features are the incredible option of sending audio messages, Text-to-Speech (TTS) of all lingos (acronyms & abbreviations) and texts, creating an entirely new apps use. Also are added the fantastic options Google Allo and AndroidTM Messages (SMS, MMS), thus getting the chances of communicating with your family and friends even greater. In addition, all apps receive new and fresh images and have compatibility with the latest Android version: Oreo 8.1. - Text-to-Speech (TTS) for Lingos and Texts on Lists and Categories. - Added Google Allo and Android Messages to share Lingos and Texts. 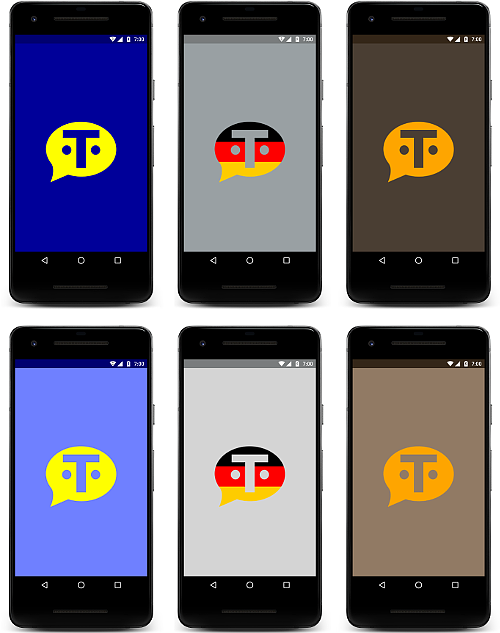 - Sharing TTS of Lingos and Texts on .ogg sound files for WhatsApp, Telegram, Google Allo, Android Messages and Email on devices with Android 5.0 Lollipop or higher. - New images to Categories, sliding menu and background wallpaper. - Android 8.1 Oreo compatibility. - New design and icons on sharing menu. Enjoy now these amazing v3.0.0 updates with Text-to-Speech and much more downloading Pick Text Pro, Wähle Text Pro, Elige Texto Pro, Pick Text Lite, Wähle Text Lite and Elige Texto Lite on the Google PlayTM Store. And connect with your family and friends in the quickest and comfortable way.